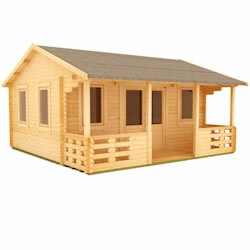 Tiger log cabins are manufactured from the finest materials. 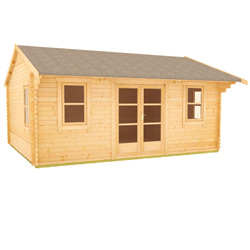 These 18x16 log cabins are made to order in our Leeds mill, using superior grade timber. The 44mm interlocking logs can be assembled with ease, and are machined for a secure fit to prevent damp or wind penetration. 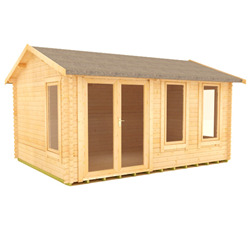 These cabins are ideal for leisure or work, and will be the pride of your garden.